BRAND NEW!!!! 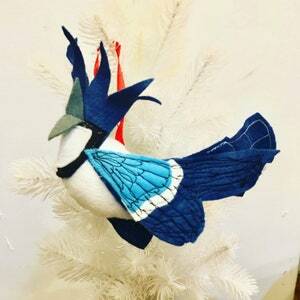 I had this amazing opportunity to fill a case for an art exhibit about birds and anthropocene. 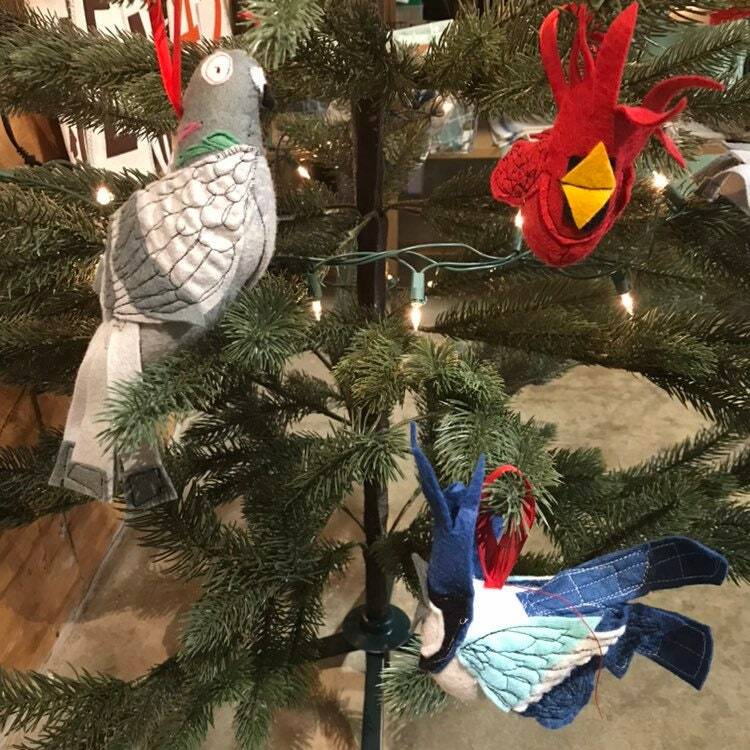 So I went to work and started to play with felt and stuffing and started to see my birds come alive! 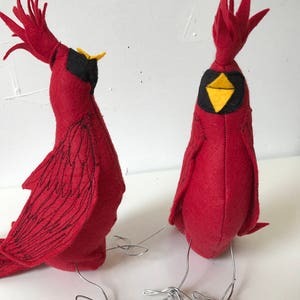 I've created hybrids of birds: stuffed animal with actual anatomical birds. 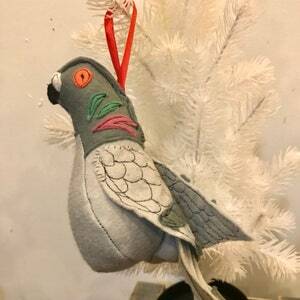 This year they have become one of a kind ornaments! 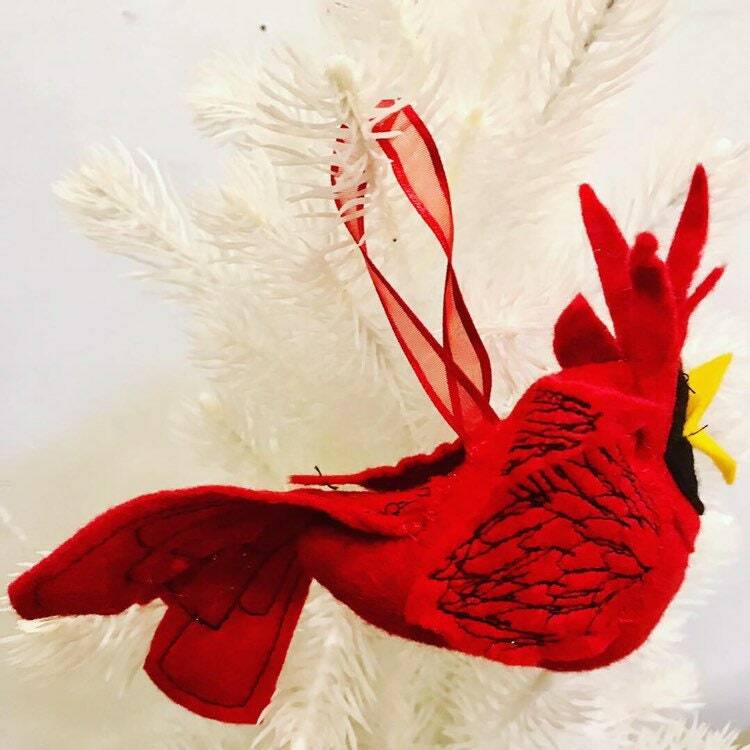 Each cardinal is made one at a time.Constructed with high quality wool blend felt, freehand machine stitched details and stuffed with recyclable polypill. Wings and body have freehand machine stitched details and hand sewn on. 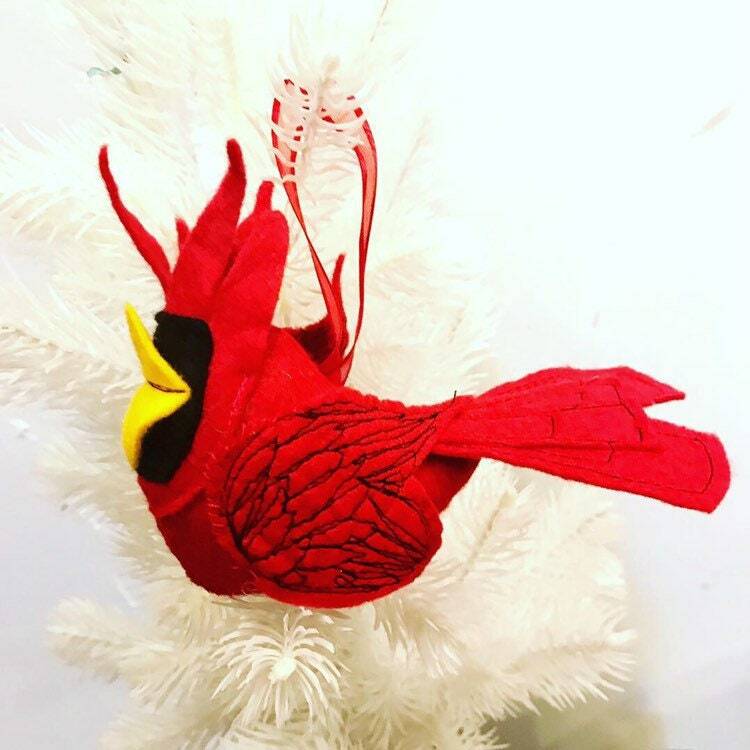 Each cardinal has it own personality. 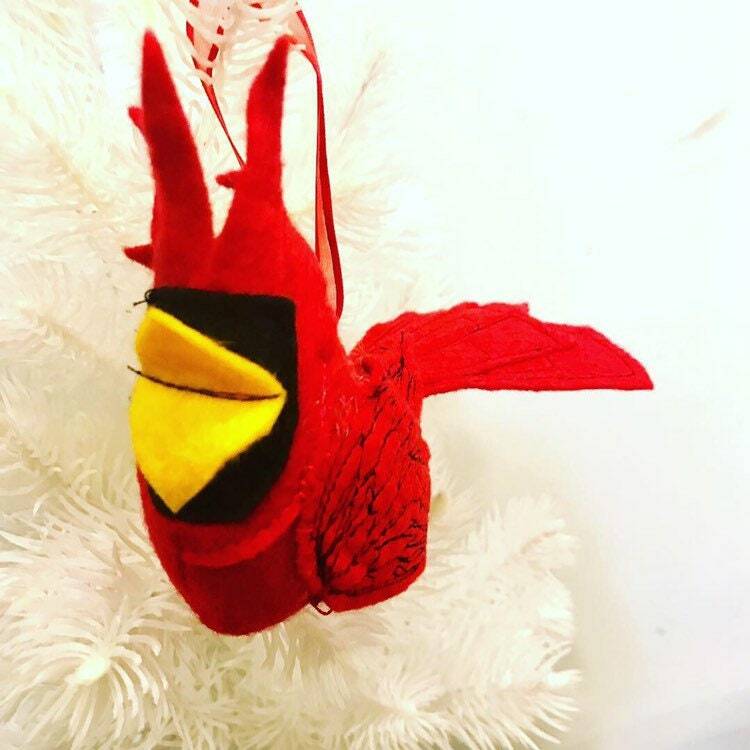 A red ribbon is sewn on the bird’s back so you hang it up. Sizes are approximate. 3” high, by 1” deep by 7” wide. 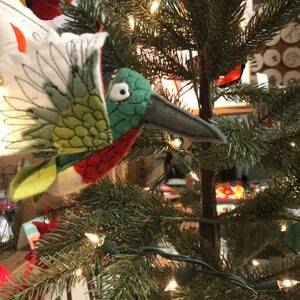 This is a perfect gift for any bird lover!